Butternut squash is the base for all kinds of recipes. By smoking butternut squash, it picks up a whole new dimension of flavors. 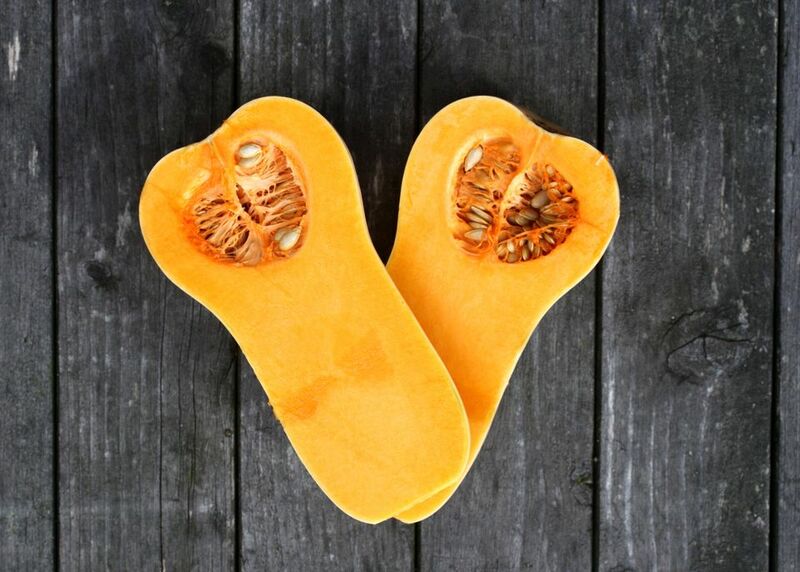 The smoky flavor of this squash will make any dish it is used in all the better. Best of all, you get to decide how smokey to make it. Prepare smoker for a one and a half hour cook time at around 275 F/135 C.
Cut the stem end of the butternut squash off, about an inch from the top. Brush with olive oil and sprinkle with salt. Place on the smoker and cook until soft all the way through.